The holiday blues start to set in when you’re packing up, and usually hit hard at security. Yet, when Cathay Pacific's new and improved The Pier Business Class Lounge awaits you, the feeling of dread is washed away with a wave of excitement. The Pier reopened in June 2016, and when it did, it became the largest Cathay Pacific Lounge in the world at a staggering 3,300 square metres (35,585 square feet) of dining and lounge space. The lounge greets you with a warm, inviting luxury. It’s apparent from the moment you step in that there’s not an inch of this lounge that the London based Studioilse team didn’t touch. And believe me, you’ll want to touch everything yourself, too. From smooth cherry wood to the fuzzy velvet that encompases you in their custom-made lounge chairs -- every surface ignites your senses. As you walk through, a gentle glowing light surrounds you, making you feel as though you’re in someone’s living room rather than a bustling airport terminal. After getting your bearings you’ll probably instinctively head to the dining area, which is a great choice. Here, the Pier Business Class Lounge goes beyond complimentary drinks and snacks by featuring fresh-made dishes like noodle soup and dim sum specially prepared by the in-house chef. 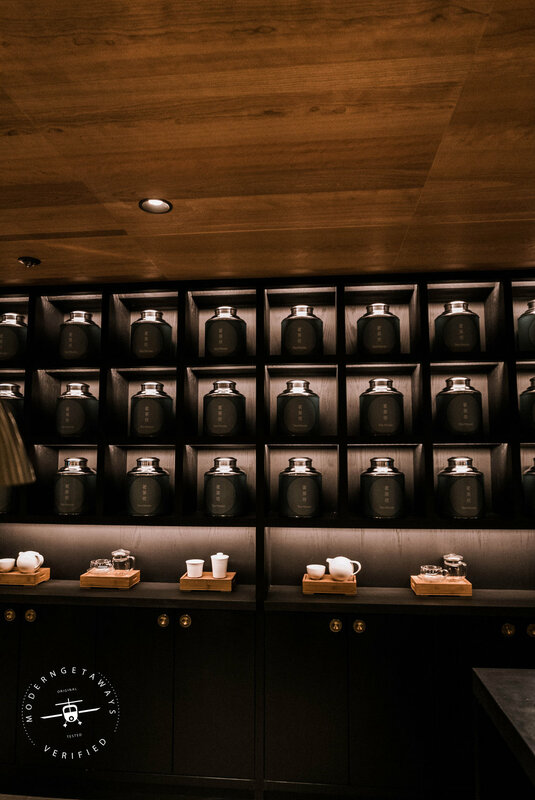 There’s also the teahouse, which is elegant and zen and packed with some of the best tea on earth. But the ultimate perk of the business lounge are the private showers. 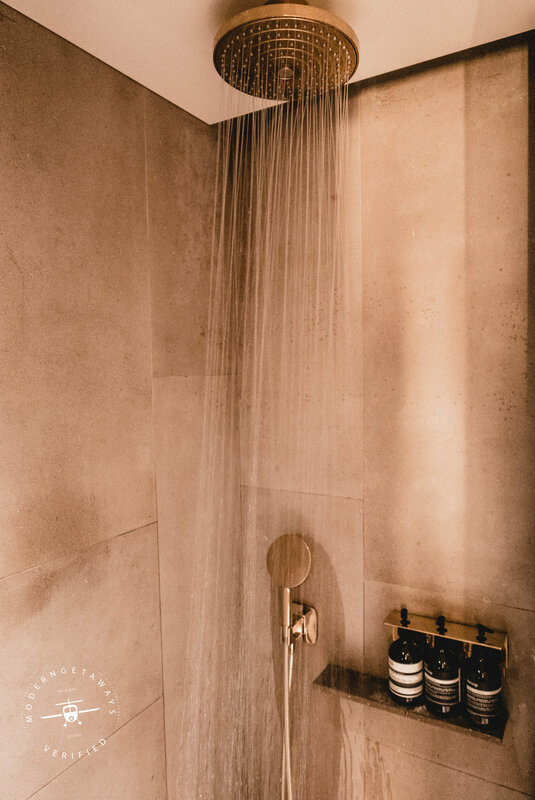 Outfitted with Aesop products, brushed metal fixtures, and a heavenly rain shower -- this little luxury will refresh and rejuvenate you. It will also spoil you rotten, as I’m sure you’ll never want to fly without a pre-flight shower ever again. After freshening up, you would venture back out to the lounge that’s divided up into sections for both the relaxed and productive traveler. First there’s the working area outfitted with iMacs, printers and high-speed internet. Then, there’s the relaxation area with resting pods and lounge chairs to hunker down in before your next flight. The Business Class Lounge at the Pier is located near departure gate 65 in terminal one of Hong Kong International Airport. It's open to Cathay Pacific business class passengers, gold and silver Marco Polo members and holders of oneworld membership equivalent to Sapphire. Your own shower room before take off. Check out all the flights and lounges at the Cathay Pacific's page and start your journey the right way. 'life well traveled' the flights and other lounges at the Cathay Pacific's page and start your journey the right way.